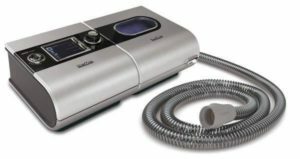 For people suffering from Sleep Apnoea the journey to finally getting a good night’s rest using CPAP isn’t always easy, but it is always worth it. 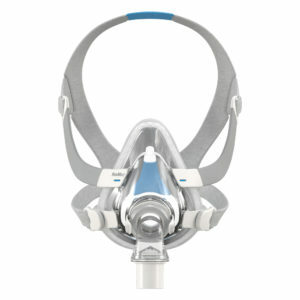 There are a range of CPAP Mask options available, the first style of mask you try might not be the best fit for you. At Sleep Right Australia we have been assisting people with Sleep Apnoea since 2010. We have a wealth of product knowledge and have a fantastic track record in finding the best product for each of our clients. We offer an online equipment consultation and our after sales care is second to none. So wherever you are on your journey to a satisfying night’s rest we are confident we will be able to assist you get to that goal, just like we did for Julie. Having been a snorer since my first pregnancy in 1989, it progressively got worse to the point where I was snoring so loudly I was waking myself up. My family had complained for years about their disrupted sleep, now it was MY disrupted sleep I knew I had to do something. The constant sleep deprivation, and the poor quality of the sleep I was having, resulted in constant fatigue, headaches, lethargy, mood swings, and depression. 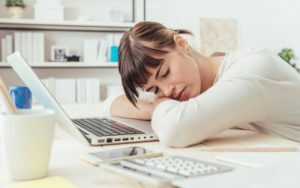 Mid afternoon was the time when fatigue hit me worse, and it affected my productivity at work, and on days I wasn’t at work an afternoon sleep of several hours became a common habit – I simply couldn’t keep my eyes open. I consulted with my GP, who consulted with my daughter who accompanied me to the appointment, as to the severity of my snoring. The look on her face said it all, and my in-home sleep study was promptly organised. My guess is my GP was trying to avoid my death during sleep, whether my sleep apnoea or at my daughters hands is still unknown. It was an easy process in the comfort of my own home, the consultant came out and attached all the pads in the right places on my body, and at my usual bedtime I hooked myself to the machine and nodded off. The next morning I simply packed everything up and returned it to the consultant. 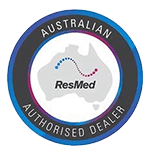 The results were sent to my GP, and after a follow up consultation, and the diagnosis of severe sleep apnoea, the purchase of my Resmed S9 was organised. I left that appointment armed with the machine, a touch of anxiety at having to use a medical device for the rest of my days, and a daughter who I am sure was hoping with all her heart this device would bring her peace and sleep. The arrival of my ‘machine’ heralded the first ‘quiet’ nights sleep either of us had had in years. My daughter had silence, we both had uninterrupted sleep and I woke the following morning with energy again – it was a win-win situation. Like every new adventure, my five year relationship with my machine, and mask, which I now lovingly refer to as my ‘snorkel’, has had its ups and downs. I’ve had night’s where I have contentedly slept with my mask, nights where I have not been able to tolerate it well, and nights were I have taken it off and thrown it on the floor in frustration. But like every good long term relationship I persisted and now I can’t imagine being without it. I’ve taken it with me to stay in the homes of family and friends, in motels, caravan parks, free camps – even for a hospital stay. Earlier this year my second mask needed replacing, and after a search of the internet I settled on my new mask, the ResMed AirTouch F20 For Her Full Face CPAP Mask from Sleep Right Australia. I had several questions and decided to email Andrew and ask for his advice, and despite living two states away he has been extraordinarily helpful, having me send the SD card to him and doing an online review from the comfort of my own home. We discussed the issues I was having with leakage around my mask, as well as other options available to me and with the simple question ‘have you tried a nasal mask?’, life changed for the better yet again. 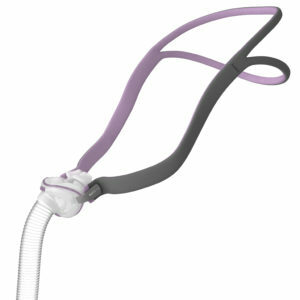 In less than a week my new ResMed AirFit P10 For Her Nasal Pillow Mask arrived and I have been happily sleeping between 8 and 10 hours every night, quite an improvement on my average of 6.3 hours. The regular communication from Andrew – from monitoring my satisfaction with equipment I have purchased, solving any issues that arise, regular maintenance of my equipment, answering any questions I have, and providing updates on latest products on the market – are educational, informative, and most of all reassuring that I have found the right team to take care of my equipment needs into the future. I cannot thank Andrew and his team enough for the genuine interest they have taken in improving my quality of sleep.